General Bajwa's statement came amid reports that Imran Khan-led Pakistan government was reviewing the agreements under the CPEC project. The China-Pakistan Economic Corridor or CPEC is the economic future of Pakistan and its security will never be compromised, Pakistan Army chief General Qamar Javed Bajwa said in a meeting with Chinese Ambassador Yao Jing in Rawalpindi. The statement came amid reports that the newly elected government, led by Imran Khan, is reviewing the deals in the Belt and Road Initiative seeking renegotiation on the trade pact with China. 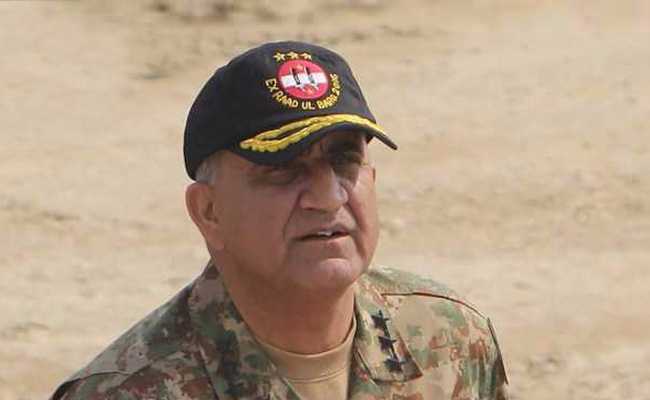 A statement on the official twitter account of the Pakistan government read, "Army Chief General Qamar Javed Bajwa has reiterated that China-Pakistan Economic Corridor is economic future of Pakistan and its security will never be compromised. He was talking to Chinese Ambassador Yao Jing in Rawalpindi." It was reported on Tuesday that the Imran Khan-led Pakistan government was reviewing the agreements under the CPEC project. Citing a report from UK-based Financial Times, top officials said that the Pakistan Tehreek-e-Insaf (PTI)-led government would be looking to renegotiate the trade pact signed with Beijing a decade ago. Mr Khan had recently established a nine-member committee to analyse the $62 billion project which reportedly gave "undue advantages to Chinese companies," Pakistan's daily The Express Tribune reported. Pakistan and China, in a four-hour meeting on Sunday led by Pakistan's Minister for Planning Makhdoom Khusro Bakhtiar and National Development and Reforms Commission (NDRC) of China vice-chairman Ning Jizhe, decided to add social sector and regional development schemes to the existing portfolio of CPEC projects.